Laroma Therapies Offers The Best Japanese Garden Foot Spa Therapy In Worthing! 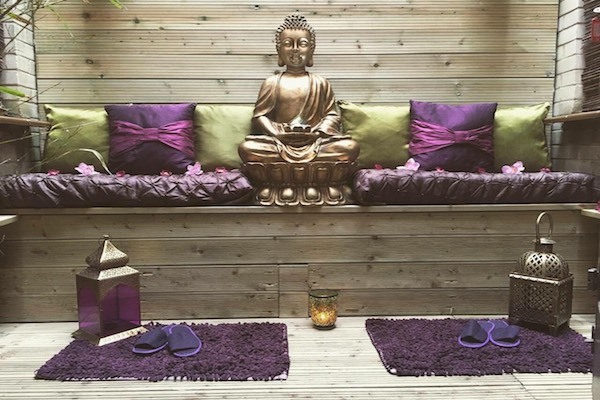 Step into our Japanese spa garden here at Laroma Therapies, the perfect way to relax your mind, body and soul in a tranquil setting. Enjoy a whirlpool foot spa with Epsom salts to sooth away stress and tension. Also experience a unique rolling water and wave massage followed by a relaxation foot, leg, arm and scalp massage. This soothing treatment encourages an all round warm sensation and inner peace. Enjoy a herbal tea or fruit juice in our relaxation area after treatment. To book your appointment for our Japanese Garden Foot Spa Therapy, call Laroma on 01903 201104. To book your appointment for a Japanese Garden Foot Spa in Worthing, call Laroma on 01903 201104 or email us using the form below.